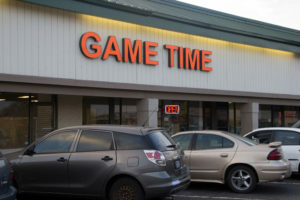 Game Time is currently updating both our storefront and our website. We appreciate your patience with both. Please check out our Facebook page for information about the current tournament schedule, or give us a call or email. Our new play space is open for business, and our live streaming booth should be up and running very soon. Great things are in our future, we’ll see you there!